In the VR world, 3 large devices play a major role. In addition to Oculus Rift and HTC Vive, the PlayStation VR is the last on the market, and it is a cheap alternative to the other two VR headsets. Like other two head sets, PS VR also allows you to capture your games via screenshot and video, or stream your live gameplay. However, there are some differences and peculiarities when compared to the normal PS 4 and PS VR. In this guide, we explain the differences in streaming and how you take pictures and videos with the PS VR and share. - Images, videos and streams that you record with the PS VR are output to the TV in 2D and not in the VR view. The game is then displayed to friends on the web or other players when streaming on their monitor or TV in 2D. - Recorded material with the PlayStation VR is also stored in the recording gallery of the PS4. - Since the PS VR makes full use of the PlayStation camera, it cannot record your face as with the normal streaming. Here, when streaming you need an extra camera. 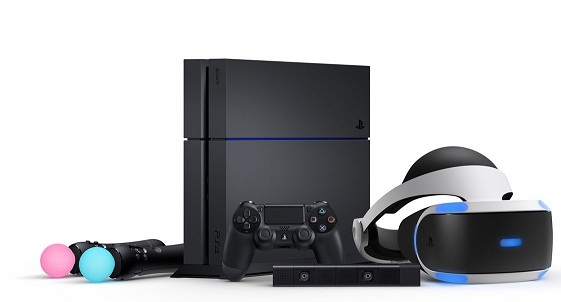 Streaming with the PS VR is simple and does not differ from normal streaming with the PS4. Just do the following. - Start the game you want to stream. - Press the Share button on the PS4 controller. - Select the service you want to stream (Twitch or UStream). - Associate your respective profile with the PS4. - Rename your broadcast and set other streaming options on or off. You can show and hide comments as usual and have them output by voice option (Transfer settings - Advanced settings). Press the Share button again to stop transmission. The recording of pictures and videos with the PS VR takes place as with normal PS4 games also with the share button. At the push of a button, the Share menu is displayed in the Virtual Reality view. You can also hold down the Share button to take a screenshot or press the button twice to start the video recording. Both are confirmed by a small recording symbol on the display. The recording is terminated by double-clicking again. Alternatively, you can select other recording settings by pressing the Share button to take a screenshot and pressing the Open button. Use the Share menu to set the length of the recorded video clips. Since the last major system software update, clips with up to an hour length are now possible. Videos are stored in a compressed 720p format in the recording gallery of the PlayStation 4. Games in a native resolution of 1080p are thus reproduced with diminished quality.